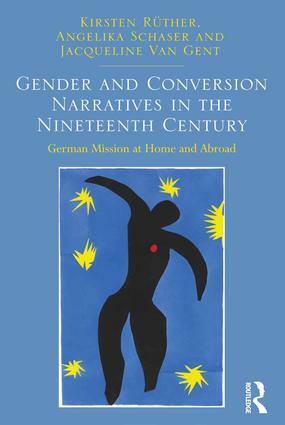 Introduction; Conversion narratives in a European setting: writing about conversion to Catholicism in Erfurt; Gendered conversions: Wotjobaluk men and women in colonial Victoria, Australia; Conversion and religious change in the Pedi kingdom, South Africa: a world in motion, at home and abroad; Reflections; Archival sources and bibliography; Index. Kirsten RÃ¼ther is a professor of History and Societies in Africa at the Department of African Studies of the University of Vienna. Her research interests include issues of Christianisation and colonialism, health and popular culture, and the study of family and kinship. She is currently working on a book on life histories in Africa. Angelika Schaser is Professor for Modern History at the UniversitÃ¤t Hamburg. She was a member of the research group ’Self-Narratives in Transcultural Perspective’ at the Freie UniversitÃ¤t Berlin, 2004 to 2010. Her research includes projects on nation and gender in the German history of the 19th and 20th centuries as well as on religious conversions, minorities, collective memories, history of historiography, and auto/biographical research. Jacqueline Van Gent is a historian at The University of Western Australia and Chief Investigator with the ARC Centre of Excellence for the History of Emotions (1100-1800). She has published on Protestant missions, indigenous people and gender in colonial Australia and the early modern world, gender and power in the early modern Nassau-Orange family and Scandinavian early modern cultural history.